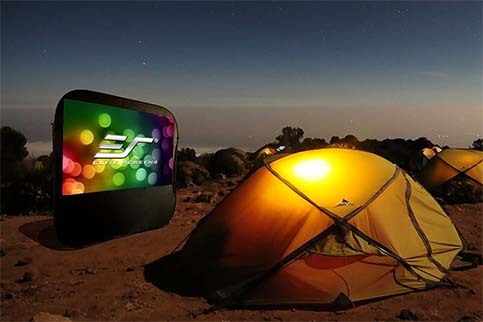 Portable screens are designed to be carried from one place to another with ease. Road warrior presenters, traveling trainers, and entertainers on the go are a few typical users of portable screens. AV departments in schools, conference facilities and hotels also benefit from portable screens because they add flexibility to on-hand resources. A icon denotes a bestselling screen. Click on an option (like Retractable) to learn more about it. Click here for the complete glossary. Don't see the screen you need here? Give us a call at 1-888-248-0675! We have access to the complete Draper and Elite product lines!